See the Turkey in the middle??? 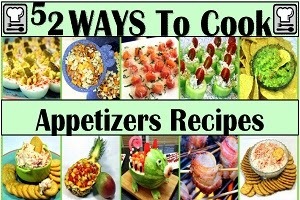 This is a recipe mostly taken/inspired from the TV show, The Chew, way back over a year ago. Carla Hall made this and I have been tweaking the recipe for a year now. It is very similar to a deconstructed pot pie. And the Lemon seasoning adds something special! The cut out pastries are very simply, I grabbed a couple of cookie cutters, a sheet of Puff Pastry and (at 350 degrees) in 16 minutes, I had the makings of an actual deconstructed Pot Pie! I did select the Turkey as this is a terrific idea for a Thanksgiving Turkey leftover dish. As well as a rotisserie chicken recipe. One of my now famous "52 Ways to Use a Rotisserie Chicken" recipes. Sure the recipe calls for chicken, but no reason you can't just sub some turkey leftovers. To see the original recipe as made on The Chew... Click HERE. In a LARGE Frying pan, heat the Olive Oil, add the Onions and carrots and saute for 5 minutes until the onions have softened. Add additional flour if you need thicker gravy. Well, two pots, one for the rice... And actually three dishes if you count a little bowl for a Corn Starch slurry... And I used a mini chopper to make some pineapple juice Slurry... And does a cutting board count when talking about a one dish meal??? But it is Fast and VERY easy and unbelievably good! The secret is to use a real fresh Pineapple. i have made this dish with canned pineapple, and while OK, the difference is very noticeable. Use the fresh and real. In this recipe it makes a difference. My sauce does not contain any Soy Sauce, ketchup or tomato, so it may not look like it came from a fast food Chinese restaurant. But it does have plenty of layers of flavor, naturally sweet with the pineapple and naturally sour from the Rice Wine vinegar. Dare I say better than take out (you betcha). In a large Frying Pan or Wok, Heat Olive Oil to just before smoking. Serve over hot rice and ENJOY!!! Not your standard take out Sweet and Sour dish. 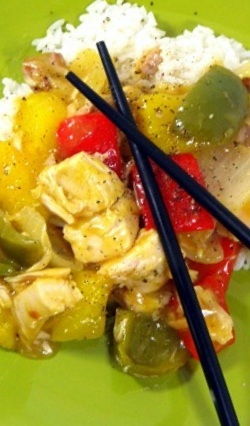 The sauce is clinging to the vegetables and chicken, but the dish is not over sauced... just flavored. The real star is that hot pineapple with the sauce. Again, works with canned pineapple but there is just nothing like the taste and texture of the fresh!!! Oh My, it had been awhile since I made a dish so beautiful... 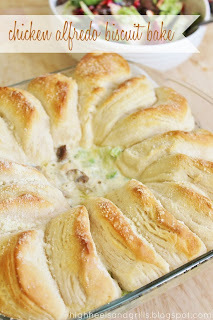 Stunning in fact, puffed up biscuits, hints of vegetables and a cheesy creamy Alfredo sauce. This dish was a jewel out of the oven, a delight to present, Heaven to smell and most important, Tastes GREAT! I have been looking for a dish to make with an Alfredo sauce. Yesterday I saw a post from a new blog buddy, Sarah at the High Heals and Grills Blog. 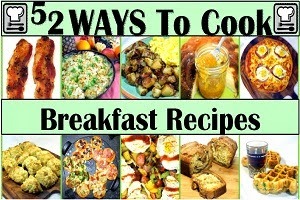 The photo to the left is her version of the recipe (and her photo lifted from her post). First up I made my own Alfredo Sauce. Rich and creamy and loaded with cheese. I also like lots of pepper in my Alfredo. Add the cream and heat to simmer. First, a few notes... I made this with mostly frozen vegetables (we had a GREAT sale recently, 79 cents for a bag of Bird's Eye brand). I did have 1 baked potato left from another dish and used that to line the bottom of the pan. I took a kind of "whatever I got" slash "Cuppa Cuppa Cuppa Cuppa" approach to the recipe. i just kept adding a cup a this and that until I was happy. The beautiful presentation comes from a tube of biscuits (I used Pillsbury Grands). You cut them in half so you have enough to rim the baking dish, then lean them against each other like dominoes. I actually baked this dish twice. the first time I removed it when the biscuits looked done (after 18 minutes). In fact, the bottom of the biscuits were raw. I simply scrapped the biscuits off and tried with a second tube. This time I baked for 10 minutes with foil covering the dish so the biscuits would not brown. Then i removed the foil and baked for another 10 minutes... WORKED PERFECT THIS TIME! In a heavy frying pan, melt butter, add onions and saute for 5 minutes until the onions soften and turn translucent. Pour into the large baking dish (note: it occurred to me that if I made this in a cast iron skillet or oven safe stainless steel frying pan I could make this a one pot meal). Brush the melted butter on top of the biscuits, sprinkle with the finely grated Parmesan. Remove the foil and bale for another 10 minutes. Double check that the biscuits are thoroughly cooked. BEST Mashed Potato Recipe Secret- Apples FRIED IN BACON FAT! I took the time to take photos of everything... except these potatoes Unless you count the "in process" shot above as I lazily allow the kitchenaid to do all of the work. One of those OMG recipes! Yes, APPLES COOKED IN BACON FAT!!! I love a Rotisserie chicken. I honestly can not think of a single protein (meat) that is so cheap and versatile. OK, an egg maybe should come first... But the Chicken comes in second. It gets even better when you can take the dregs of the carcass, the meat that normally would get thrown away (or in my case, would get made into chicken stock). This recipe takes so little of the meat from the bones that it is like a bonus recipe... No need to buy a bird, just hold back a little. The meat for this recipe came from my incredible week of self control. I only used the meat from the two chicken wings to make 24 of these little beauties. The self control is that usually first time I open the Rotisserie chicken package, first to go are the wings... No Cook's Reward from this bird, but made a great breakfast (and would be an amazing appetizer). And don't you just love the way they puff up over the little bits of meat as they cook. 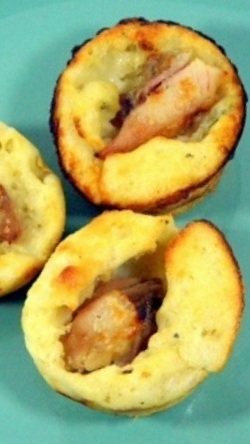 like a little stuffed souffle'! Add the chicken pieces and stir to generously coat. Serve warm and ENJOY! Bet you can't eat just one! And these were delicious. I made them for a breakfast, but would happily serve these as an appetizer at any dinner party. 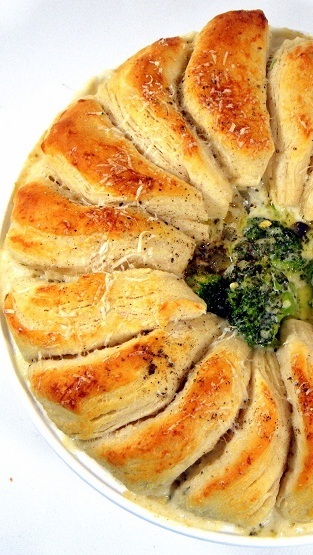 The delicate soft buttermilk dough enveloped the cheesy savory pieces of chicken perfectly. This dish is INSANELY GOOD! It also happens to be one of those "20 Dishes everyone should know by heart" dishes for me. It's a 30 minute meal (less actually), only a few ingredients and spices most of which are always in my pantry and best of all... As I said... Insanely GOOD! 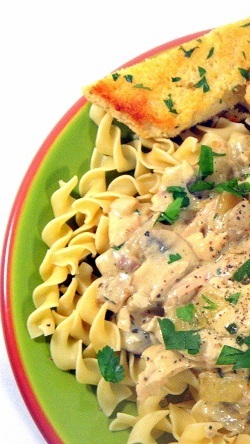 Of course, the dish is best known as Beef Stroganoff. Historically as much a Chinese Dish than the presumed (and adopted) Russian origins most people believe. And actually, being made with chicken makes this dish more Brazilian in origin. But I digress from the recipe. Thanks to the ease and inexpensive costs of using a store bought, fully cooked, fully seasoned Rotisserie Chicken (yes, of course this is one of my "52 Uses for a Rotisserie Chicken"), in place of more expensive beef cuts, this dish will always clock in as pound for pound, dollar for dollar about the best tastiest way to feed a family for MUCH less. Cheap, easy and pantry ingredients... And did I mention INSANELY GOOD! This is a One Dish Meal... Well, 2 since you cook the pasta, but one Large Frying pan. Heat Frying pan over medium heat. Melt the butter. Start a pot of salted water boiling for the pasta, but you want everything hot at the same time, so do not add the pasta yet. Add the Onions to the frying pan and saute for five minutes unto the onions have softened and appear translucent. Add the Mushrooms and saute for 5 more minutes. Now it is time to add the pasta. Egg Noodles only take 7 minutes to cook (follow package directions if using something other than standard egg noodles). Add the spices (salt, pepper, oregano, garlic and mustard powders and rosemary) to the onions and mushrooms and mix well. Add the chicken stock and turn heat higher to get a simmer. Add the Sour Cream and stir to combine. The sauce should start to thicken. If you want a thicker sauce, add a tsp of flour and mix. Add the Chicken and stir to combine everything! Continue the simmer for a couple of minutes to heat the chicken. Remove the Egg Noodles, drain and add parsley and thyme to the noodles. I had a bit of bread left over, thought that some Garlic Toast would taste good with this... Mix 2 TBS softened butter with 1 tsp of garlic powder spread the butter on the bread, sprinkle with fresh cut parsley flakes. Heat oven to 350 degrees. Place bread butter side up in the oven for about 8 minutes until it just starts to toast. This is my third occasion to make this soup and I LOVE IT!!! 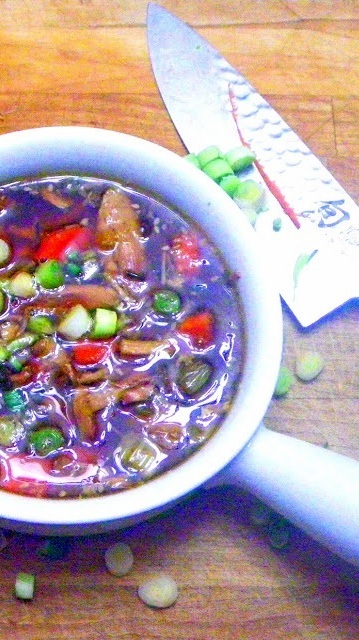 The inspiration for this soup came from a recipe posted by a blogging buddy,Penny from the Lake Lure Kitchen. In place of her (WONDERFUL) teriyaki chicken thigh served on rice (Another crock pot dish); I present my adapted Chicken Teriyaki Crock Pot Soup! Made all the easier by using pieces from my beloved Rotisserie Chicken (Yes, making this one of my most delicious "52 Uses for a Rotisserie Chicken"! 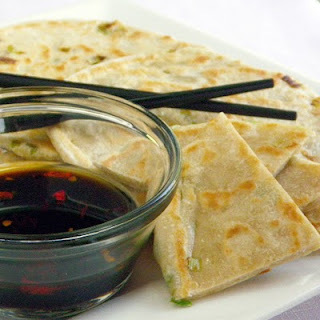 But I do have a post from my past (former internet life (a different blog identity)... Cong You Bing (Scallion Pancakes). In all humility, I must say that it is a very good instructional post. Lots of photos and how-to instructions to get these fried bread Thai restaurant appetizer treats duplicated in your home kitchen. A GREAT addition to the Soup! I made this in a Crock pot, cause, "If it ain't ready by 6 AM, We ain't gonna eat tonight". A great way to allow all of these more complex tastes to meld into a soup. And of course, a great way to make a soup while the cat's away! In the bottom of the Crock Pot, whisk together the Sugar, Soy Sauce, Cider Vinegar, Ginger and Garlic. Season with a couple of pinches Pepper (Plenty of Salt in the Soy sauce, so no need to salt). Add the chicken now and give it a few minutes to soak the teriyaki sauce into the meat. About the same amount of time it takes you to slice the vegetables. 6-12 hours later, serve hot and ENJOY! Really, this is a WONDERFUL morning after breakfast. Makes sense, just think of the waffles as slightly sweet croutons. Be sure to crust up your waffles so they have a crunch to them. Otherwise the waffles become too soggy soaking in the soup. Personally, I loved the savory breakfast alternative and would suggest any of these trendy waffle stations set up for fancy Sunday Brunches to add a savory alternative! Garlic Garlic Chicken and Dumplings!